The operational tour of duty for bomber air-crews is usually about sixty sorties (actually two tours), and although a great many have completed that number, few have completed a tour as members of the same air-crew. The crew of T Tommy, or “ Thomas Frederick Duck,” as they preferred to call their aircraft, was one of the exceptions to the rule. Four of them had been together since their days at an operational training unit, and had completed their ﬁrst tour together; two others had ﬂown in the same squadron, No. 75 (New Zealand), during that ﬁrst tour; and the Cockney had joined them for the second. Their story is typical of many who, called from varied walks of life, had left their civil occupations early in the war, and become what the Royal Navy would call “ hostilities only ” airmen. Their association began in 1942 when Jack Wright, then aged twenty-seven, who had been a clerk in a meat-freezing works at Horotui, near Frankton Junction, in the North Island, was having a drink in a public house near his training station. He had listened carefully to his experienced instructors, was determined to do well, and possessed a ﬁrm decision to select the best crew available. He got into conversation with Charlie Kelly, a youngster of twenty-one, who had been a porcelain-enameller at Christchurch before undergoing training as a navigator in Canada, and who had come to England in the same ship as Jack Wright. They agreed to ‘ crew up ’ together, and to ﬁnd three more men—New Zealanders if possible—to complete the team. With Wright, sharing a room in the billets, was Michael Carter, a lad of twenty, who had left his job as telegraphist in the Post and Telegraph Department in Auckland, in November 1939, to join the R.N.Z.A.F. Wright decided that, with Carter’s background as well as his training as a radio operator, he would be an ideal man for the crew, and Kelly assented. The three of them then selected a front and rear-gunner, R. C. Reynolds, aged twenty-three, who had worked in his father’s grocery store in Lower Hutt, near Wellington, and Bruce Neal, aged nineteen, who had not long left school at Warkworth, North Auckland. They were all sergeants, they liked one another, and they worked well as a team. In May 1942 they were posted to 75 (N.Z.) Squadron. Their ﬁrst tour began during the famous ‘ thousand-bomber ’ raids on Cologne and Essen, but, for the ﬁrst ﬁve operations, Wright ﬂew as second pilot with an experienced captain in order to complete his training before taking command of his own aircraft. Then came the night when, as a team, they took off on their ﬁrst operation. 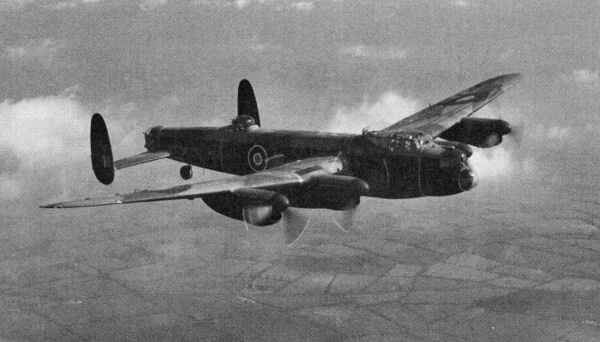 They bombed Emden, ﬂying M Mother, a Wellington which had been used on many operations. Everything went well, but, while cruising high over the North Sea on the retum run to England, they were surprised and attacked by a Junkers 88. The enemy aircraft ﬁred such an effective burst that the Wellington’s air-screws were damaged, the petrol tanks were punctured, and astro-navigation hatch blown away by a cannon-shell, and the fuselage tom away in strips. A piece of shell ripped the seat of Carter’s trousers as he stood near the astro- hatch, and he escaped a severe wound by the fraction of an inch. Neal, the rear-gunner, was able to ﬁre a burst at the Junkers before it disappeared into a cloud. Fortunately the German did not retum to the attack and M Mother, on her last operation for many nights, carried a rather shocked crew back to base. It was not an auspicious beginning to their tour, but the New Zealanders were not dismayed, and although their aircraft was afterwards to be punctured many times by ﬂak, they did not experience what bomber crews call another “ shaky do ” until that ﬁnal and sixtieth operation. With M Mother now unserviceable, Wright was allotted a new aircraft, D Donald, which was soon given the name “ Donald Duck,” and was embellished on the fuselage with a neat painting of Donald himself, in an irritable mood—the design of a hardworking and enthusiastic member of the ground-crew. The mascot seemed to bring luck, for raid after raid was completed without many unsettling incidents. The squadron, regarded as a leading unit in Number 3 Bomber Group, possessed an air-crew personnel consisting almost entirely of New Zealanders, and its morale was exceptionally high. There was a spirit of keen comradeship, which was also one of keen rivalry. In the dispersal next to D Donald stood another Wellington, F Freddy, whose captain was an Englishman. The navigator was Flight Sergeant A. S. Drew, of Auckland, aged twenty-seven, a former linotype operator on the New Zealand Herald, who had enlisted in 1940 and had been trained in Canada; and the gunners were both from Christchurch— Flight Sergeants W. Gordon and B. Phillips. On their ﬁrst ﬂight together the crew of F Freddy was pleased and relieved when Phillips shot down a Junkers 88; and from that time onward they never ceased to chip the crew of D Donald about its lack of initiative in not shooting down German night-ﬁghters. The summer of 1942 saw the ﬁrst concentrated pounding of industrial targets in the Ruhr Valley, and there were many attacks on Hamburg, one of which cost the New Zealand squadron heavy casualties. From their adjacent dispersal-bays D Donald and F Freddy took off and returned from ﬂight after ﬂight, their crews cheerful and unperturbed, chafﬁng each other about their aircraft and the technique of shooting down night-ﬁghters. There was quite a celebration when Reynolds, the front gunner, destroyed a Junkers 88 on D Donald’: twenty-eighth operational sortie, placing it on even terms with F Freddy. The number of front gunners in Wellington aircraft who have shot down enemy aircraft is not large. By the time the tour had ended both Wright and Kelly had received their commissions as Pilot Oﬂicers. They were awarded the D.F.C. shortly afterwards, and, their operations completed for the time being, were posted as instructors to an operational training unit, to which they were accompanied by Carter and Reynolds. Their rear-gunner, Neal, did not go with them, however, but went to a gunnery course. It was indeed an unhappy day for his four friends when they heard he had been killed during an exercise. At the end of their six months as instructors the crew of D Donald were posted to a squadron ﬂying Lancasters. They set about ﬁnding another navigator as well as a rear-gunner to take the place of Neal. The obvious person as navigator was Drew, their old competitor in F Freddy, and he readily agreed to join, as also did Ken Crankshaw, who had won the D.F.M. with 75 Squadron. Crankshaw had taken part in many operational sorties, the majority of which had been over the most heavily defended areas in Germany. He had always displayed the greatest keenness to attack the enemy’s searchlights and gun positions. His skilful ﬁre against enemy ﬁghters and excellent instructions to his pilot had contributed largely to the safe return of the aircraft. His constant cheerfulness and high example of courage and determination had been an inspiration to all. He came from Greymouth and was a garage storeman before he enlisted in the R.N.Z.A.F. in 194.0. He trained as an air-gunner in Canada under the Empire Joint Air Training Plan. Lancasters also carry a ﬂight engineer, and this position in the crew was ﬁlled by Harry Hammond, of Ilford, Essex, who had serviced Spitﬁres during the Battle of Britain and had later re-mustered as an engineer in heavy bombers. Harry, a Cockney among six New Zealanders, managed, however, to hold his own, for, although they promised to appoint him a naturalized New Zealander, within a week each New Zealander was unconsciously dropping as many “ h’s ” as ’Arry ’Ammond ’imself I “ ‘Arry Spanner” they called him (“ Spanner,” because of his trade), and they would not have ﬂown without him. 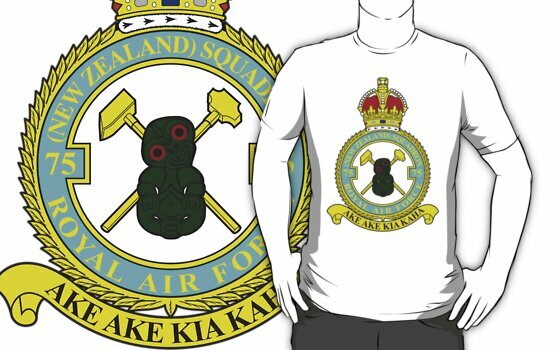 Neither would they have ﬂown without their Donald Duck mascot, which had been carefully removed from D Donald on their posting from 75(NZ) Squadron. But here occurred a dilemma. Their new aircraft in 156 Squadron was T Tommy, and so a ﬁne point had to be settled. How could T Tommy be incorporated with Donald Duck P They ﬁnally de- cided on a compromise: their aircraft would be known as Thomas Duck. And to this Drew agreed, but he also insisted that his successful association with F Freddy should not be overlooked. There was a further compromise, therefore, and T T ommy became “ Thomas Frederick Duck,” and, ’Arry Spanner raising no objections, the tour was begun in a satisﬁed mood. Modane. T T ommy, directed by two experienced navigators, found the targets with regularity, and the crew dropped their ﬂares and bombs in the vanguard of the stream of bombers. The Lancaster was hit on several occasions by ﬂak, but not seriously; and two Junkers 88 which attempted to destroy it on different raids were both sent down in ﬂames—one by Crankshaw, the other by Reynolds. During a short summer night Wright and his crew took part in one of the longest sorties that had been carried out up to that time. The target was Turin, and they crossed the French coast before dusk. It was daylight again when they returned to their base and touched down after a ﬂight of ten hours ﬁfteen minutes. Turin was then a centre through which passed Axis supplies for the Tunisian front, and it was, therefore, an important strategic target. Another ﬂight which remained ﬁxed in their memories was an attack on Milan. They passed, en route, near Mont Blanc, and they could see its rugged beauty, etched sharply in the clear light of a full moon. T Tommy was ahead of schedule, and Wright turned back on his course so that the crew could secure another look at the splendor of the mountain scenery, which lay like a painting below them. Every one became so engrossed—’Arry Spanner was almost poetic – that Wright had to remind them they were, after all, on an operational sortie and not on a so-and-so tour. Squadron Leader]. L. Wright, D.S.O., D.F.C. Squadron Leader C..W. Kelly, D.S.O., D.F.C. Flight Lieutenant A. S. Drew, D.F.C. 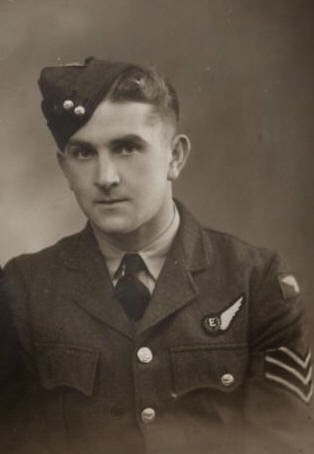 Flight Lieutenant M. A. Carter, D.F.C. Flying Oﬂicer R. C. Reynolds, D.F.C. Flying Ofﬁcer K. Crankshaw, D.F.C., D.F.M. Their story is a typical example of how the average civilian, with training, care and experience, can do what Mr Churchill has called “ the job,” and do it efﬁciently and with distinction.